I really must apologize to anyone who is reading this blog - two months without a post. I have not only been in a blogging slump, but also in a reading slump and I spent all of January and most of February re-reading old favourites. I am going to blame the fact that early in January, I finished off two very mediocre books that made me crave books that I knew would be engrossing and comforting. But I do have a few reviews to do, that I'm going to try and get posted in the next couple of days. 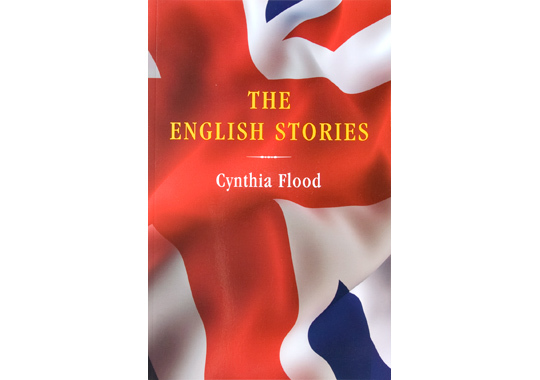 The first of the mediocre books finished in January was The English Stories by Cynthia Flood. There are 12 inter-connected short stories in this collection that cover a 2 year period in Amanda's life as she enters adolescence in the early 1950s. Her father is an English Literature professor in Toronto who takes a sabbatical to go to England to do research "for a year that stretched into two". The stories are told from different points of view - Amanda's, her parents, her teachers, the other residents at the boarding house where they live - and deal mainly with Amanda's adaptation to a different culture as well as her growing up. I liked the fact that different voices were used, but I didn't think that Amanda was a very likable heroine, and so I didn't really care what happened to her. And I also found it difficult to keep the characters straight, especially with the perspective changing from story to story - I found myself flipping back and forth a lot trying to remember who was who. And honestly, I didn't find any of the characters to be very likable which made it difficult to care about any of them. Two months after finishing this book, none of the stories really stand out in my mind - only a somewhat vague memory of not particularly enjoying reading this book. I loved this collection. Perhaps the characters weren't especially likeable, but they felt real to me, and I'm partial to interconnected story collections. Sorry to hear your reading year hasn't taken hold for you yet...maybe the next book?